Available in 4 sizes and in red colour. Bibs arrived speedily, quicker than my players do! Good quality, good price. Excellent service, prompt delivery and ultimately a good quality product. The bibs are great value for money and the most sort after sporting goods we send out on behalf of Rob Stephenson Trust. Children have enjoyed using them in India, South Africa, Malawi, Kenya, Brazil, Mongolia and many other places. Versatile bibs for KS1 & KS2 with the added bonus of children wanting to pick their number and wear them rather than ask to be non-bibs! Very good product. Great price and speedy delivery. Very visible when playing so does what it's supposed to. Will buy again and recommend. They were an instant hit with my football team and it made a massive difference to them when identifying who to mark and defend against, encouraging really good communication. They are excellent quality and would strongly recommend them. Sturdy and strong. Great value and ideal for rough training sessions. Would highly recommend these to anyone.newitts products never disappoint. FANTASTIC - great quality, loads of different colours. The kids loved the shirt numbers on the back. We have bought the green, yellow and red for our training sessions. I know some teams use these on match days in case their shirt colours clash with the opposition. Having the shirt numbers on the reverse makes it a cheap alternative to buying a second strip!! The bibs were of really good quality. The delivery time was excellent and they have real good customer service. Would definitely recommend! Does exactly what you need it to do and are presentable. What more can you ask for a bib? Quality of the material, colours available matched with price is very good value. I would definitely buy again. Recommended. Excellent product and value for money, they washed well too :) Only downside is the writing across the front - maybe it helps keep them cheap! We have used these as football kits until ours arrive, washed 3 times up to now with very little fading. Good cheap product. Bought some for our club when we first set it up. Still got them and they're great and have been "handed down" to our new younger teams. Bought these for our now older boys who've grown and needed a larger size! Delighted with the packs, bought 2 for the ladies team. They are great value and delivered within a couple of days. Woulds have no hesitation in recommending this product to others. I ordered two packs of 52 -56 inch bibs because some of our men are big. The bibs were delivered on time and are excellent quality. I don't know how you can make them for £1.60 each. I am very pleased with the product and service. I bought these bibs for my 6-a-side football team and they are great value for the price. They are very light so you need to wear a tshirt under them but perfect fit. These bibs are great value for money however the sizing is inconsistent. I bought medium in red and yellow and the yellow is much smaller than the red (to the point that they won't fit a lot of my players). I previously bought three sets of these in medium and was really happy but both of my latest sets are smaller than the original ones (despite all being medium) and the yellow ones are tiny. The edge trim has fallen off all bibs apart from one on my original sets as the stitching isn't great but they are cheap so you get what you pay for. Having purchased some serious junk of late, these bibs really have been brilliant. The large all comfortably fit a group of fully grown male footballers, not too tight around the chest on the larger fellas yet not too baggy around the smaller men. Lightweight and am sure, does not add any further insulation. Wouldn't be strong enough for rugby. Wash well too. great price and delivered to NZ. Great service and will buy more now that we have got a feel for them. fantastic product very well made, very good fit and fits a good range of body sizes. would definitely recommend and order again. Arrived within a few days, and exactly as described. Perfect for kick about football. Very quick delivery, product is good quality as expected. Very happy with Newitts service and I would use them again. Ordered 4 packs and I cannot believe the quality of these. For the low price I paid and with numbers on the back they are perfect for light training sessions. Why pay extortionate prices for a name on a bib when you can receive items like these for half the price! Good quality bibs. Only issue I had was that I could not buy a mixture of sizes eg medium and large. 5 out of 5 What a deal. Cracking deal, great value for money. Wash well, and are made of excellent material. Would recommend these bibs to anyone. Excellent value for money. Great service. Delighted with purchase so far. Durability still to be confirmed but expect them to last well. these bibs are great and were delivered very very quickly, great price and good quality, 50 sweaty italians made them smell in no time, but they wash well. you should add a green bib numbered 1 and then provide the 10 outfield numbers as above. Arrived promptly ready for the Clubs Open Training Day, where they were very useful in identifying new players. As previously buyers comments would be better if started at number 2 onwards. Great product and very good value for money. Have three sets of these bibs now. Would like a choice of different colours. 4 out of 5 Great value! Great value bibs! Useful for training and games and look smart too! The Fit is good and not too big. I am really please with the bibs, wash well look good and the numbers on shirt have worked a treat for drills. My suggestion is to buy ! Good price, fast delivery, and good product. Only issue is choice of stock availability. Would have liked Large, which was out of stock, so ordered Med, which will be ok for a season at least. Great value, highly recommended. Been using this three times a week for over a month and i've been greatly satisfied. The bibs arrived early and my squad liked the numbers of the back which they've taken to wearing on the front. Best not to ask why they're under 14. The bibs are robust and look like they will last a few seasons. These bibs are good quality and easy to maintain. Recommended for all levels of football teams. The colours and numbers make them ideal for training sessions. Great quality bibs, easy to wash and dry, numbered i use them as a change of kit for away matches. These numberes Newitts own bibs are absolutely perfect. They are great quality at an unbelievable price. I am going to order more for our club. These bibs are not top the line but they are more than adequate for once a week training sessions. The printing is ok but does not respond well to tumble drying which is a draw back in winter. Newitts however are excellent and their customer service is first rate. Excellent purchase. Brilliant value for what are good quality (even numbered!) training kids. I would certainly recommend them above other similar bibs and they arrived so quickly! 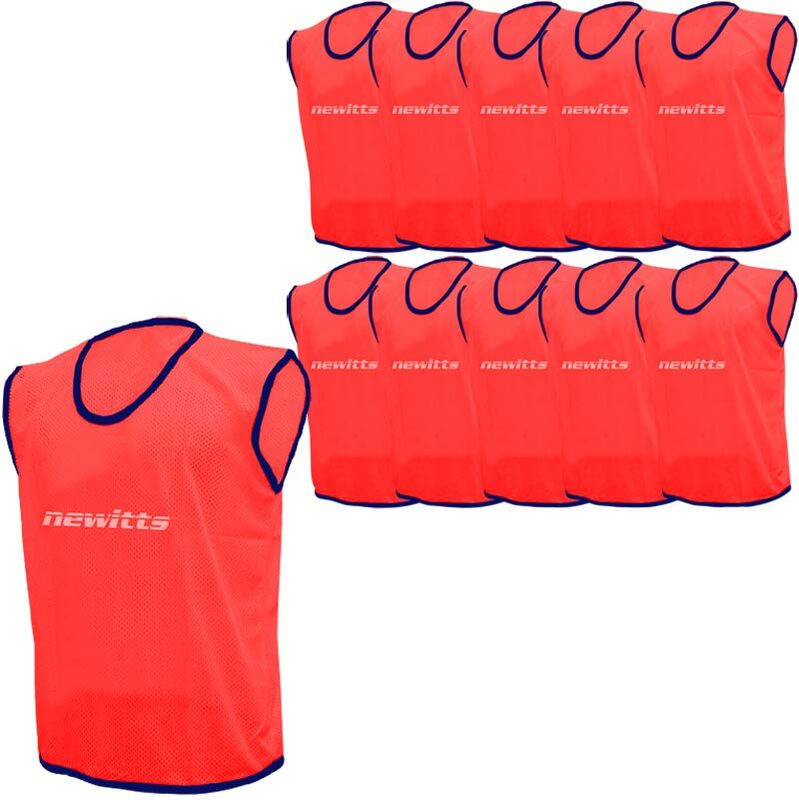 I have used these bibs for my last five training sessions with my u7s team. I have been very pleased with the purchase, the bibs are of good quality and they fit my players well. The numbers on the bibs are also useful for the sessions. the material is a bit on the hard side, nut i only use it a coup;e of times. so may improve after a few washes. very well make. Great value and prompt delivery. Just what we needed at the start of a new season. A mix of sizes would be a useful option. 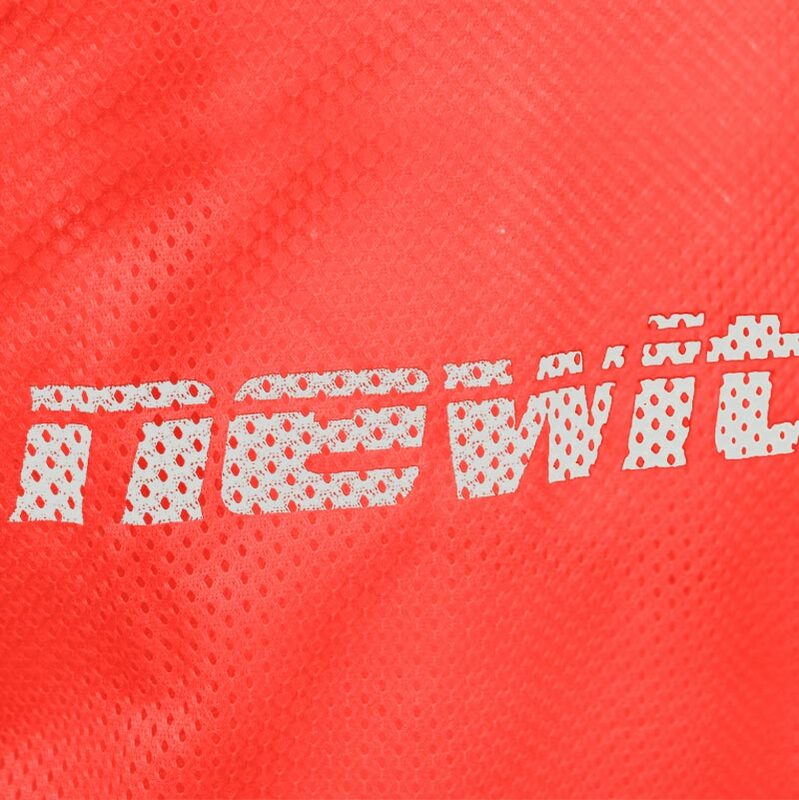 The two packs of newitts training bibs are excellent value for money. They are strong and hold their shape, allowing maximum movement in all of the training drills. Highly recommend using this product. Much better item than we thought we were buying.Quality is good and delivery was very fast. Will have more at a later date! 5 out of 5 Top quality bibs !! Bibs are of very good quality. I purchased two numbered sets, and they are a real help for some of the training drills that we do. Bargain at the price, for packs of 10. ie cheaper than SportsDirects un-numbered packs of 6 !! hi i have bought a few of these for soccer team and i found them to be good quality and a good price, only down side was the shipping to ireland was a little expensive compared to other sports outlets who also ship to ireland..
A great quality product, very easy to wash and they do exactly what it says on the tin. Would recommennd these. Good quality product, exactly as described and arrived next day in the post. Would definitely buy from again and would recommend to others. These are very good bibs but are classed as football ones. Therefore it is strange that you get numbers 1 - 10 when you would expect 2 - 11 so that a team could wear them with the goal keeper in their usual goal keeper shirt. Otherwise, these are excellent. High quality Mesh bibs, really nice design, easy to wash and due to the mesh effect material they virtually keep no bad odours from the previous weeks' wear on those many weeks you 'forget' to wash them !! ;-P 10/10 ! !